The Custard TV: CUSTARD TV PODCAST #250: A new era for the podcast! CUSTARD TV PODCAST #250: A new era for the podcast! It's a new year, and in many ways, it's a new podcast. The Custard TV Podcast is the TV podcast for TV lovers from TV obsessives. 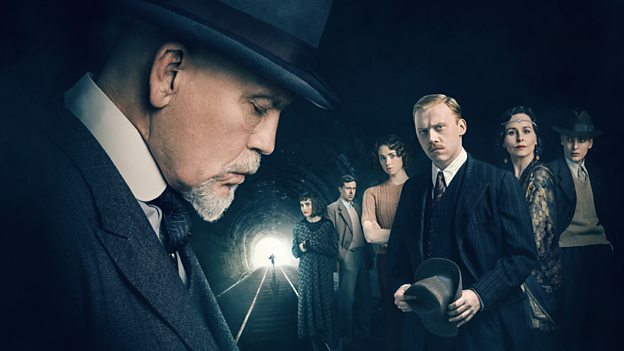 This week Luke and Matt are joined by site contributor Michael Lee to review the BBC's The ABC Murders & Luther. Along with New US drama Escape at Dannemora and interactive Black Mirror episode Bandersnatch. As a guest on the show Michael takes on the ultimate TV Quiz in 'BoxMaster' and we discuss the shows we're most looking forward to this year. 00:03:07 - The shows we're looking forward to this year. 00:25.35 - Luther: A full review of the fifth series. 00:39.16 - Escape at Dannemora: New US drama now available on NOWTV and airing weekly on Sky Atlantic. 00:56.24 The first edition of 'BoxMaster' - The Ultimate TV Quiz. We'd love to know what you what you make of the changes we've made to the podcast and thank you for your support! Listen to "A new era for podcast as we usher in 2019" on Spreaker.